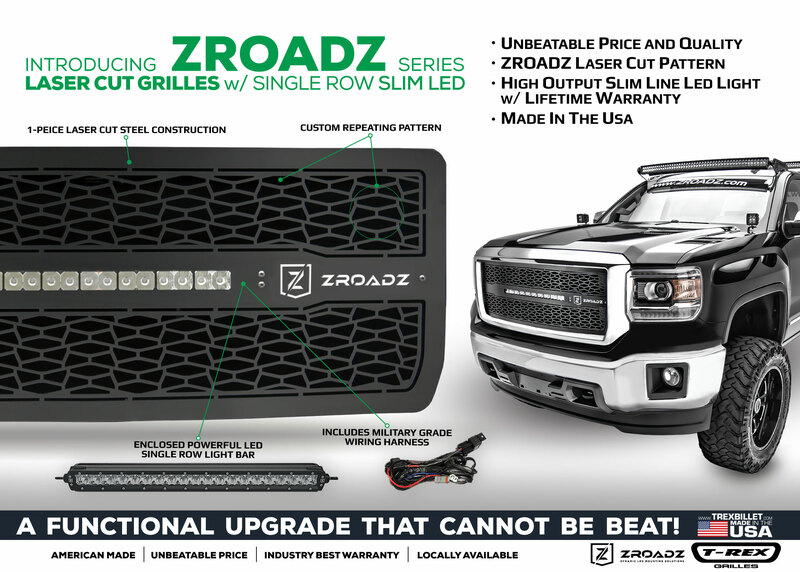 A brand new innovation to the truck grille market, this slim line grille design features an attractive custom laser cut pattern that encloses a powerful 20” single row compact LED Light Bar, and inspired by off road rugged styling. 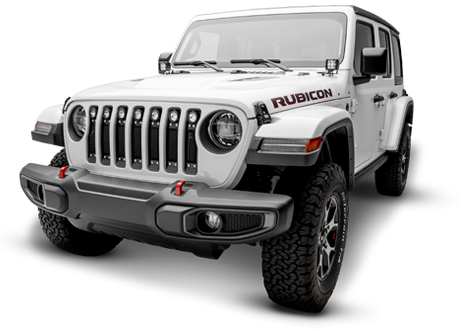 The main objective was to offer a full package grille, made in the USA, and at an unbeatable price that appeals to all budgets. 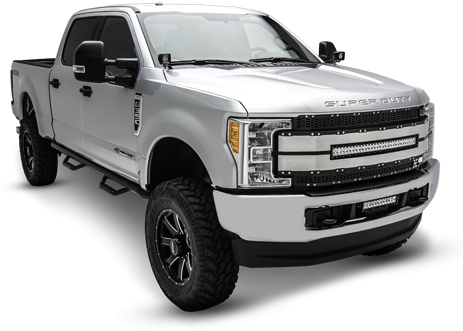 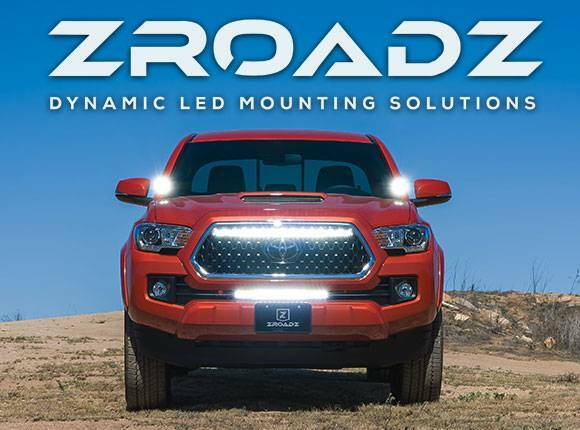 T-Rex Truck Products partnered up with ZROADZ LED Mounting Solutions to produce a super affordable and complete package grille that is highlighted by a high output Slim Line Single Row LED Light Bar.